The Calypso Star has been taking adventurers on the experience of a lifetime since 2006. For over 200 days a year the boat makes the 2.5 hour trip out to the Neptune Islands, located around 70 kilometres south of Port Lincoln in South Australia. Close to the entrance to Spencer Gulf, the Neptune Islands are where New Zealand fur-seals and Australian sea lions breed. With an estimated 40K+ colony of fur seals alone, it’s not hard to see why more than 120 different sharks can be found there each season. The Islands have been used for shark cage diving since the late seventies, and from 2002 it has been the only site in Australia where it’s legally permitted to dive. Prominent Australian shark experts, Ron and Valerie Taylor filmed the underwater sequences for the 1974 movie Jaws at the Neptune Islands. So it is hardly surprising that the dadum, dadum beat from the movie soundtrack has been drumming a tattoo in my head leading up to my dive. Whoever coined the phrase, ‘Feel the fear and do it anyway’ had obviously signed up to experience shark cage diving off South Australia’s Eyre Peninsula. I’m trying to keep the phrase as a mantra under my breath as we journey out from Port Lincoln, but my apprehension is reaching fever pitch. A clipboard makes it’s rounds on deck and I’m relieved to see my name is not included in the six making the first dive. As someone who has never been diving before, my main worry is being metres underwater and having a panic attack at the sight of a great white swimming towards me. To my relief, the cage actually bobs in the water behind the boat so it is easy enough to come to the surface if things go awry. Soon enough its time to get into my wetsuit, and after a practice with the breathing apparatus, the moment has come to descend into the cage. animals. They are the Lamborghinis of the ocean – seemingly going from idle to 100 mph within seconds when they chase the bait thrown overboard by the crew. The 45 exhilarating minutes I spend in the cage passes all too quickly. 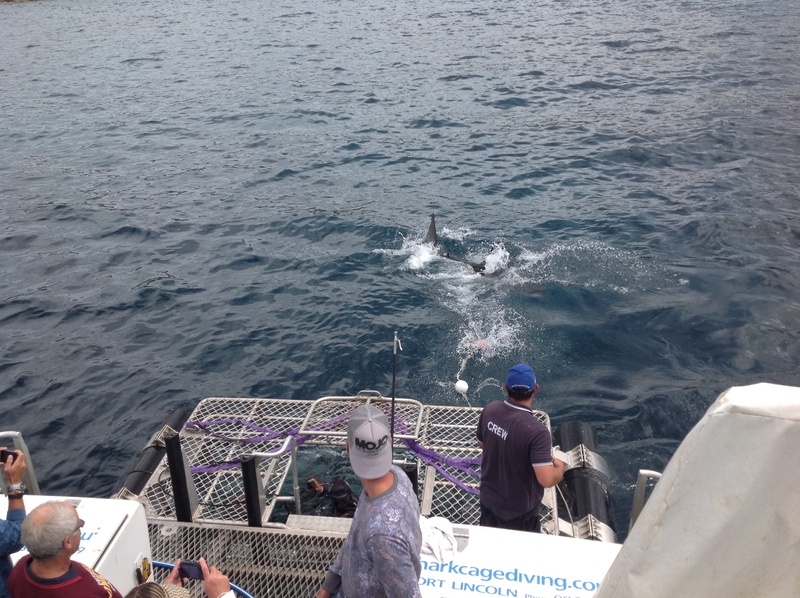 Shark cage diving in South Australia – possibly the most exhilarating thing you’ll ever do! Even if you suffer from a medical condition that would prevent you from diving with the sharks, participating as a spectator is just as exciting. 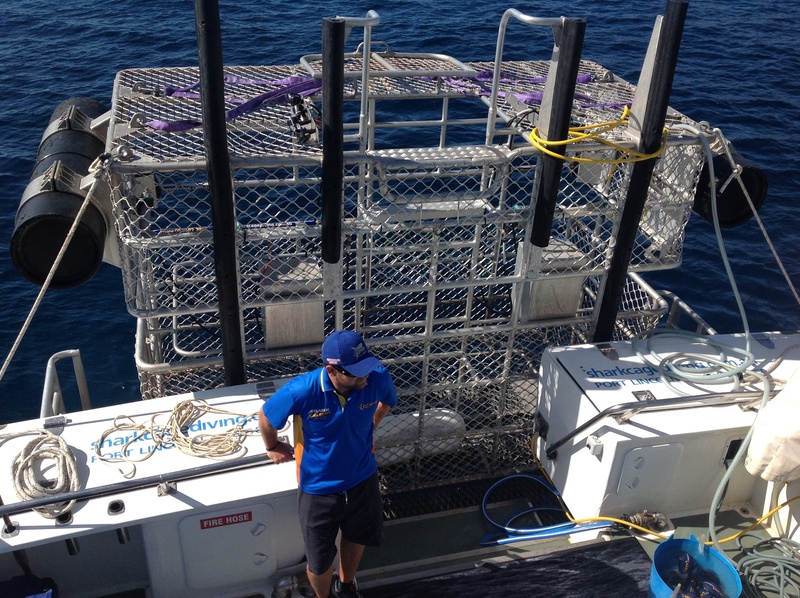 You can view the sharks from the deck of the Calypso Star or watch the action in the cage via the webcam on the television from the comfort of the lounge. The best time of the year to go shark cage diving, according to captain and owner of the Calypso Star, Andrew Wright, is from September through to Easter. It’s rare not to encounter a shark – if not a Great White, then Makos and Bronze Whalers are often spotted. But, for a guaranteed shark sighting, Andrew’s birthday on 8 February is the charm. In the eight years he has been running the diving tours, it’s the one day of the year the king of the ocean has not failed to show up. what is the best day to do this and be guaranteed to see a shark?